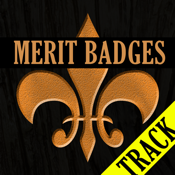 You can reference requirements on all merit badges and ranks in one handy and easy to use application. You will have at your fingertips a reference for all requirements needed for earning these awards and moving to the next rank. All information found in this app is public information for use by all scouts. Simply-Presented is not affiliated with The Boy Scouts of America. Names & images of the awards are trademarks of The Boy Scouts of America.